I love everything about this outfit from his cloth tie and tie clip to his rolled up khakis. This guy definitely knows how to dress. 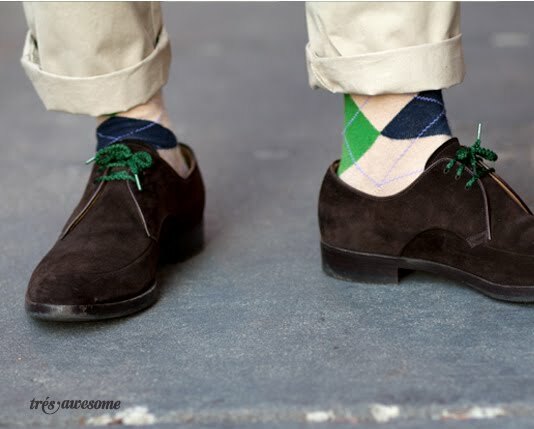 Gentleman take note, the bright green laces in these oxfords look excellent. This is a cheap and easy way to spice up an old pair of shoes. This Chicago street style fashion was captured in the Gold Coast. Cute socks! And that's a great tip about the laces which anyone could really use. 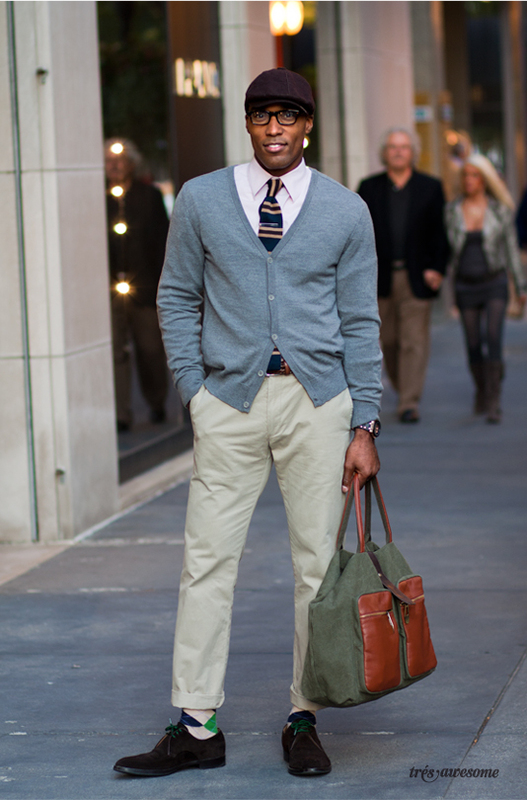 Really great preppy look. I love it! I like it..but..something about it seems a bit off to me. I think it's the pants..it'd be a bit better w/dark denim (dry/raw..worn in a bit)..perhaps a tweed blazer and a chocolate brown leather tote..minus the hat. Nice to see a man who gets it though..it's a rare sight in this city. I totally love this. What a stylish man! 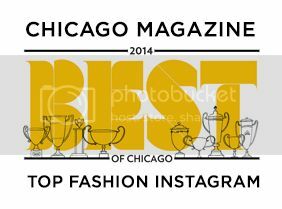 Shop men's shoes in Chicago! Visit CITY SOLES in Wicker Park for European designer shoes and boots. amazing post :) just liked your fb! Thanks Michelle!!!! Totally appreciate it. Stunning look! Thank you for the tip! Those bright green laces in the oxfords shoes is genius! I might try it with other shoes like boots or my taos shoes I would really can't wait to try it. With the printed socks and bright colored shoe laces, you can never go wrong. Stylish and hip looking.